Spider repellant | ARTZCOOL'S BLOG! I hate spiders. I don’t just dislike them a little, I really hate them and always have. I don’t feel the least bit of remorse when I feel one crush under my shoe, and I would never ever carry a spider outside to safety release it. So, as the weather gets colder, I do whatever I can to discourage the repulsive little critters from coming inside our house. We have enough of them living in our basement already! I don’t know if this actually works, but it is all over the internet, so I thought I would give it a shot. Here is an adaptation of a spider repellent I found online. 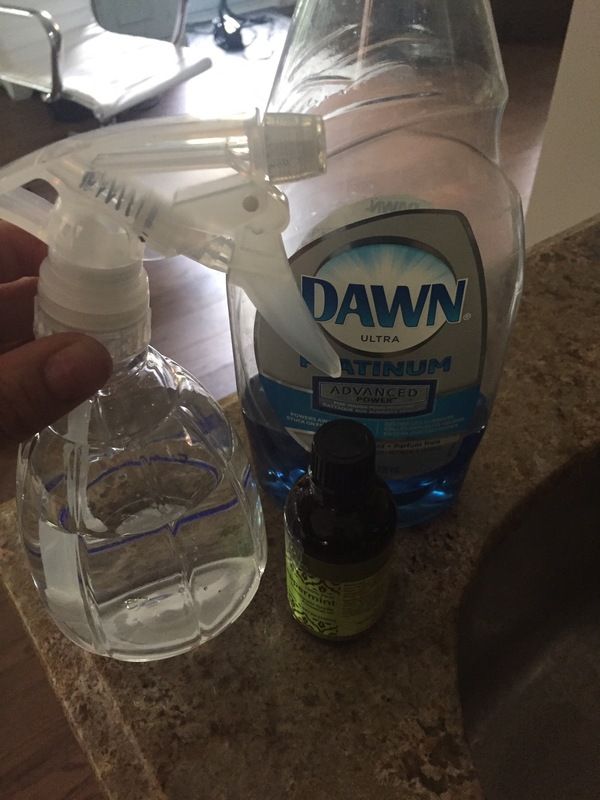 You need dawn dish detergent, peppermint oil, water, and a spray bottle. 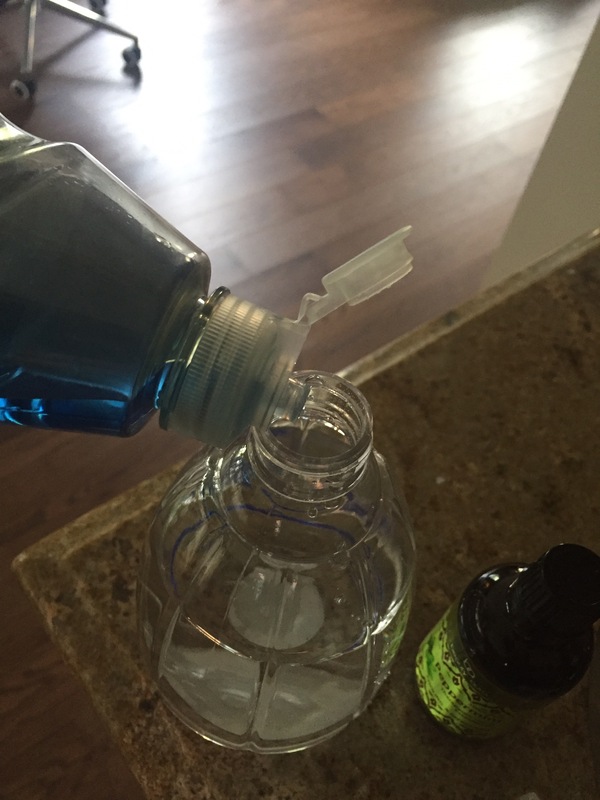 Add about a teaspoon of dish soap to the bottle, and fill it about 2/3 with warm water. 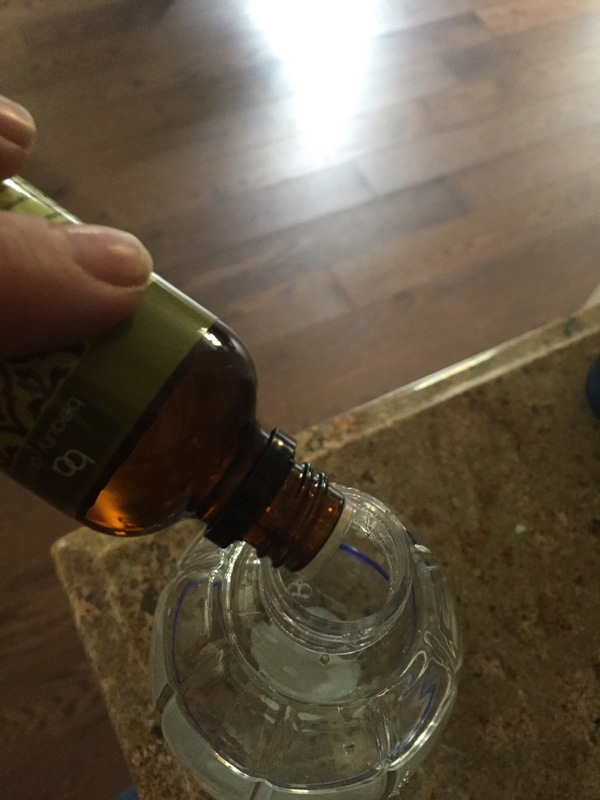 Give it a gentle shake… you don’t want the soap to foam up, so be gentle. Then generously spray around doors, and windows. I sprayed on the inside and outside. The peppermint smell is actually quite nice inside… far better than a pesticide. I checked a few minutes after I sprayed and there were still a couple spiders, so I was disappointed that it didn’t seem to have that much of an effect. But, when I looked a couple days later, the windows were spider free! That is all of the incentive I needed… I did the first spray about a month ago, and I have sprayed a couple times since. Every couple weeks, or after a heavy rain, I spray again. The spiders are even gone from the window wells. 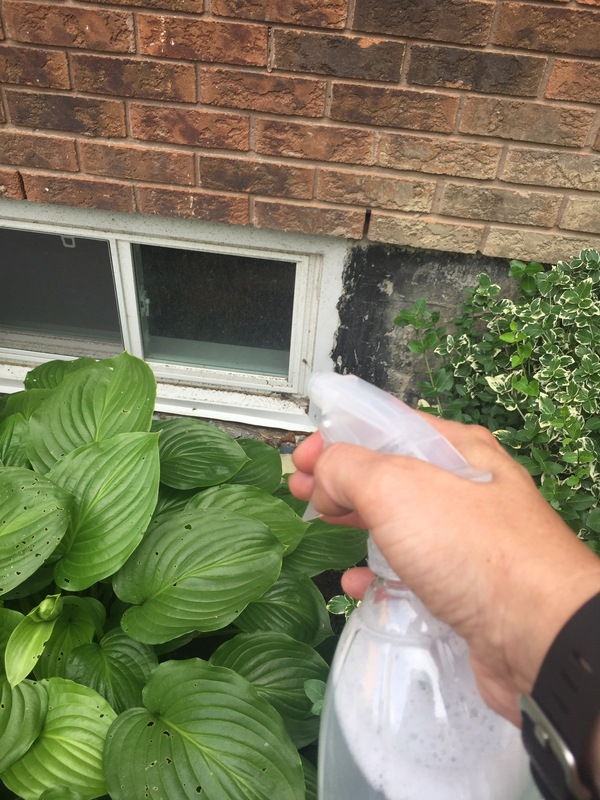 Unfortunately I don’t think it kills spiders, but I’ve checked enough times to believe it repels them, so I’m going to keep spraying until the weather gets really cold. I have also sprayed around all of the window on the inside of the basement as well.